Mayor Martin J. Walsh has announced that the “Boston Blooms with Daffodils” beautification initiative will distribute 20,000 daffodil bulbs this fall to volunteers for planting on public ways citywide. The plantings will take place in approved locations along the City’s public ways on the weekends of October 22 and October 29. Groups with approved planting locations will be contacted by the Parks Department and given bulb pick-up instructions and dates. Individuals, civic associations, church groups, sports leagues, scout troops, open space advocates, and parks friends are just some examples of the volunteers the Parks Department seeks to help in the “Boston Blooms with Daffodils” effort. Last year over 100 community groups planted the bulbs distributed by the City. Anyone interested in assisting with planting can fill out a form online at https://goo.gl/forms/5eySKiMHQzhoKZRE3 which asks for contact information and identification of the public space the applicant is volunteering to plant. Groups and individuals are asked to use their own tools. 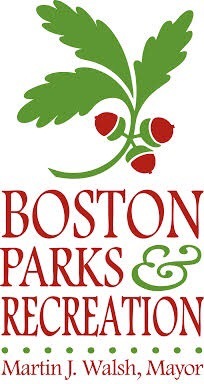 Participants are also encouraged to take photos of their groups on planting days and email them to the Boston Parks and Recreation Department at parkpartners@boston.gov with “Boston Blooms with Daffodils” in the subject line. Photos will then be available for viewing at http://www.facebook.com/bostonparksdepartment, the Parks Department website, and submitted to local newspapers. For more information on how to participate in Boston Blooms with Daffodils, please call the Parks Department at (617) 961-3006.